P.V.C. 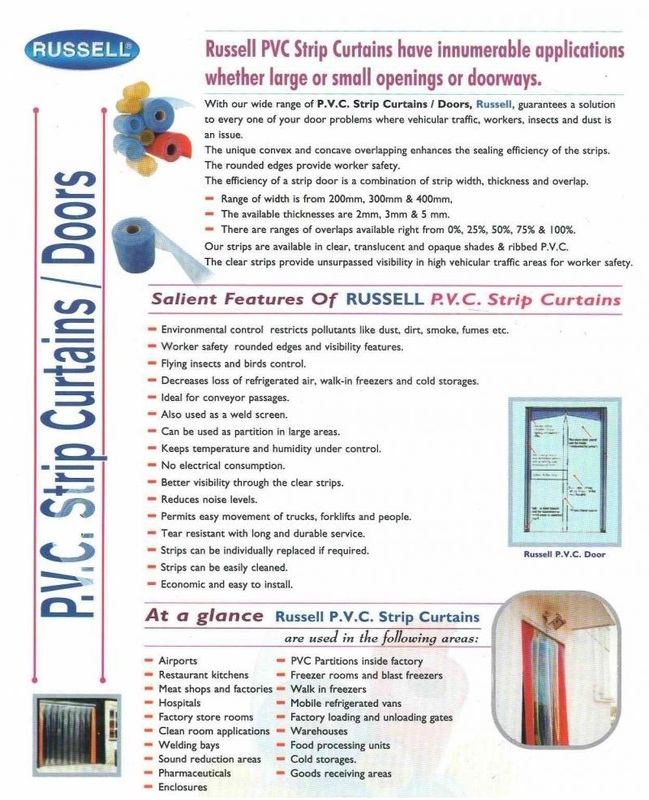 Strip Curtain is one of the most economical way to protect your employees and goods from adverse conditions such as cold, heat, noise, humidity, dust, insects, etc. It is a cost effective way to conserve energy.